Aged Care Audits, Benchmarking and Networking. 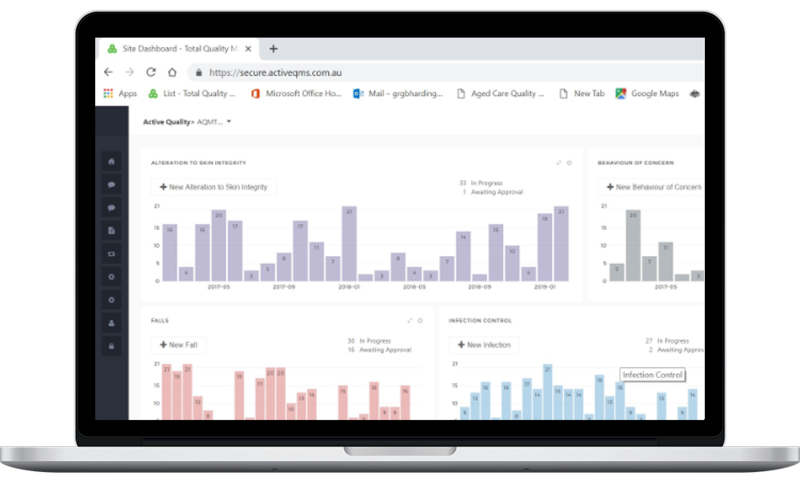 For 15 years ACQA has partnered with aged care research specialists and IT experts to develop innovative, evidence-based solutions for our members that have revolutionised the way they monitor their achievements against aged care accreditation standards. Save time by using our framework. Our Aged Care Audit Tools will save you hundreds of hours compared with doing it yourself. Everything we do is co-designed, driven by member Aged Care providers and their staff. We work together to on all aspects of quality management, continuous improvement, evidence-based practice, accreditation and consumer-directed care. Facilitated meetings where we connect, collaborate, share accreditation experiences, and learn together. Evidence-based auditing, co-designed with industry members and delivered via our easy to use cloud-based software. Affordable conferences and educational events aimed at Nurses, Nurse Managers and Directors of Nursing. Meet with other professionals like you. Our Network Meetings are a great place to connect. We talk about all things quality, accreditation, clinical practice, operations and governance in an open forum. Compare your results against other Aged Care services on the system. Members can track performance at an individual site, internally within your organisation, or globally against other member providers anonymously. Our publications cover the latest industry news; quality management, continuous improvement, evidence-based practice, accreditation and compliance analytics, and regulatory updates. Community Audit Tools Now Available! Manage one site or track progress across multiple sites. Dashboards, graphing, trending, scheduling and benchmarking. The best way to find out about ACQA is to have one of our members take you through the system. Contact us below for a obligation-free chat. We are proudly based in South Australia with members Australia-wide. Aged Care Quality Association Incorporated. We endeavour to respond to all enquiries within 24-48 hours. Aged Care Quality Association Inc.